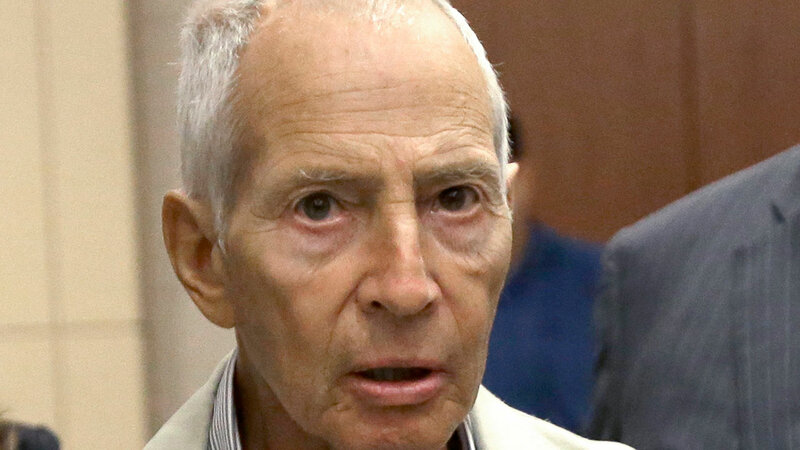 Robert Durst may have tried to disguise his identity, especially since a latex rubber mask was reportedly recovered from his hotel room and apartment. TMZ reports that, based on a recently obtained search warrant, a latex mask and fake identification were both recovered from the same New Orleans hotel room in which Robert Durst was arrested. Latex Mask: The mask was reportedly designed to fully cover Durst’s head and neck, altering the appearance of his face. According to TMZ, the warrant also claims that Robert Durst attempted to use the fake identification along with the latex rubber mask to get out of the country. In addition to the mask and ID, Durst also had a substantial amount of cash in his possession. However, the distribution of the money could be considered more questionable than the amount. Durst allegedly admitted to the police that he wanted to “ship a large sum of cash,” which is likely why the money was kept inside of envelopes. A UPS tracking number, which was also located inside of the hotel, may have been used for that reason. However, according to the report, bank records show that Robert Durst had withdrawn a lot more money than the $42,000 stashed in envelopes that were obtained by the authorities. Durst was arrested on Saturday at the Marriott hotel located on Canal Street in New Orleans. His arrest was reportedly not linked to the 1982 disappearance of his wife, Kathleen Durst. According to the New York Times, the arrest was actually in connection with the 2000 death of Susan Berman. However, Westchester authorities claim that they are still investigating the disappearance of Kathleen Durst. After viewing the HBO documentary about Robert Durst, The Jinx, Kathleen’s brother James McCormack expressed his belief of approaching closure for his sister. The report confirms that Robert Durst was intercepted by FBI agents as he was mumbling to himself while walking towards an elevator. Durst was registered at the hotel under the same name found on his false identification card.